Have you ever been a teenager? Then you will enjoy this film. 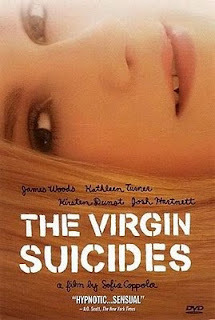 The Virgin Suicides is basically a poem about growing up, and reminiscing about all the good times you've had. If that sounds too gay for you, you'll be happy to know that the film also has a bunch of you girls committing suicide, as promised in the title. Truthfully adapted by Sophia Coppola, from the brilliant novel by the same name, it plays out like a low-toned stand-up comedy act, that will have you nodding in recognition to observational facts about people you feel like you know. Also worth mentioning is the superb soundtrack by Air, which you will no doubt want to have in your collection, to be played at many a mellow evening.